Noble Knight's dam had 78.5" of horn and his sire is 78", a total of 156.5" T2Tof pure horn. 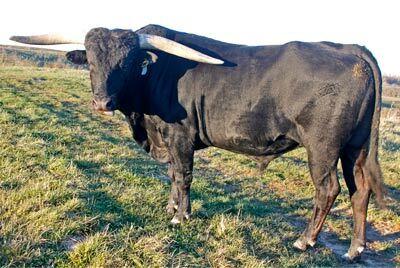 This is his 3rd year to sire for DCCI. Both his horns are grubbed off. There will never be a full valid horn measurement for him. He is long, tall and black as 20 feet up an Ohio coal stack. Ample Noble stuff here. 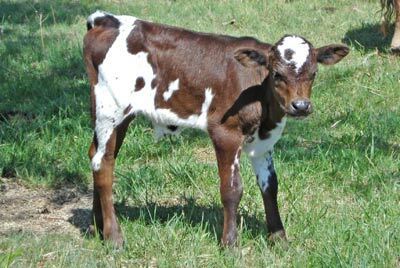 He is great for white cows needing horn and he sires black speckled calves.